3 ways to get the most brilliant BFF ever! Today I’ve invited my friend Jennifer Rothschild to the kitchen table. She is a speaker and author of 14 books. 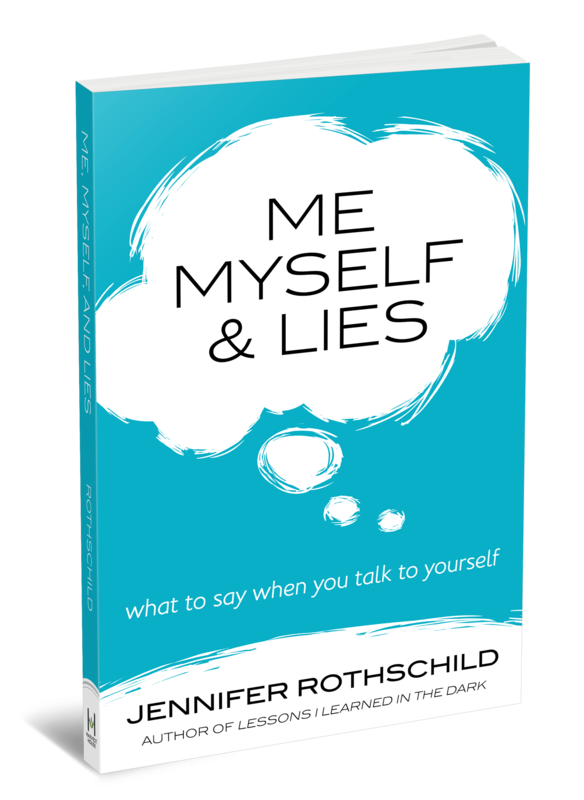 Today she’s sharing a bit from her latest release, Me, Myself & Lies: What to Say When You Talk to Yourself. Jennifer became blind when she was fifteen, and now helps the world see Jesus more clearly. Let’s welcome Jennifer! One thing that drives me crazy about getting older is I know there is a lot that I don’t know. Unfortunately, I don’t know what I don’t know! Can you relate? But one of the things that makes me happy about getting older is realizing that knowledge is not nearly as important as wisdom. And sisters, wisdom has nothing to do with what we know or don’t know, and everything to do with Who we know! God is not greedy with His wisdom. If you need it, He’ll give it. In fact, He wants His wisdom to be as close as your closest friend — your BFF! So, here are three ways to make wisdom your BFF. Our sons developed an odd habit when they were each about two years old. Whenever the phone rang, it signaled them to need me. They could have been totally occupied, happy, and distracted until the phone rang. But when it did, they inevitably whined, got hurt, or needed something. Something in the ring signaled a virtual meltdown in my kids. One day, my publisher made a surprise phone call to me. Trying to sound as if he were the most important person to me at that moment, I attempted to hush Connor while he pulled on my leg. “Sucker, Mommy. Sucker, Mommy,” he insisted. Because he asked, and because I knew the call was going to be a long one, I pulled a brand-new bag of Tootsie Pops out of the cabinet. I yanked it open and turned it upside down. Like confetti at a parade, multicolored lollipops fell all over the kitchen floor. I smiled as approvingly as possible at Connor and mouthed, “Have fun.” I then hid in the closet to finish my call. The point is, he asked, and I answered. Not just meeting minimal requirements, I gave liberally. That’s how God is when He responds to our request for wisdom. He doesn’t just meet minimal requirements. He gives liberally. He lavishes us with wisdom that will benefit us and those around us. Just as simply as a child asks for a lollipop, we can ask God for wisdom. Amazing! And we receive an overflowing supply. King Solomon echoed this thought: For the Lord gives wisdom, and from his mouth come knowledge and understanding. (Proverbs 2:6) So, my friend, before you read on, ask God for wisdom, and trust Him to provide. To fear the Lord doesn’t mean to be deathly afraid of Him. No, He is good and kind. But He is also just and worthy of our highest regard and respect. To fear the Lord means we revere Him. Examine your own heart and mind. Do you fear the Lord? Whose truth do you elevate most highly in your life? Until you reverence God most highly in your life and acknowledge that He is the standard of truth, you will never experience Him as the ultimate source of truth — and you will never find true wisdom. Take a moment to reconcile those thoughts with your own. You will discover the wisdom you need when you choose to revere God. Sometimes we just need to listen to others, learn from their mistakes and experiences, and recognize that others struggle the same way we do. Other people can teach us a lot if we’ll take the time to listen. Do you have someone you can walk with in order to gain wisdom? I love that. If wisdom were truly your sister, what would she say to you on a casual morning walk along the river? If understanding actually happened to be your BFF, what would she say to you in a gut-honest conversation at a corner table in your favorite café? You can count on one thing. You wouldn’t want to miss a single word. Me neither sister! Who is the wisest woman you know? Leave her name as a comment. I’ll pick one response and send a free copy of Jennifer’s new book! Here’s a little bit more about it. You wouldn’t talk that way to anyone else, yet phrases like these constantly flow through your mind, leaving you insecure and defeated. The wisest woman I know is Phyllis Babcock. Her husband was a physics professor, now retired, at the college I attended and the faculty advisor for the Christian fellowship and Phyllis was the hostess ‘with the mostess’, whom I admired very much. I still keep in touch with her and visit every few years. In her 70s, she still gardens, hikes, snowshoes, and opens her home to lots of people. My friend Anne is wise and gentle. She walks her walk as a Christian better than anyone I have ever known. Alice Shirey is the wisest person I know. Please offer the book to EV. Lucy Wangari. The wisest woman I know is my BFF, sister-in-law, boss, and most importantly my sister in Christ all in one person, Diane Warner. I go to her for advice on many topics from children, marriage, how to handle relationship issues, and of course work related. She always prays for me and the situation and gives good Biblical advice as well as scripture passages as reference. Diane Warner is an incredible wise God fearing woman that has been through more struggles in her lifetime than most ladies face but she still loves and fears the Lord with a passion that is hard to beat. My friend Maria has been a great source of godly wisdom in my life in recent years. She studies the word, is quiet w/ the Lord & seeks wisdom for living a victorious life. She bears the trials of this life honestly, but with eyes & heart towards her Savior…choosing to trust His goodness & sovereignty. I thank the Lord for my wise sister in Christ, Maria Jackson. Kay is the wisest woman I know. Nancy Libertini is my wise friend. Wisest woman I know is actually my daughter, Chassity Sarvis. She has been through so much in her 30 years and stands as a testament of Gods grace each day, she inspires me with her strength, wisdom & love of the lord. The wisest woman I have known was my grandmother. She had a moment by moment relationship with the Lord. She was mild-tempered, had a sweet nature, read her Bible daily – it was so worn! – prayed and shouted, making her requests made known to God. She has been my role model in my faith walk. The wisest lady I know, is my new friend and counsellor Sarah Jacoby. She sits and soaks in God’s presence and silently listens for His voice, and also enquires of Him. My friend Laurie is very wise. She speaks truth into my life. I can relate to negative talk. My friend Jean Graham is the my Christian friend that I can talk to about everything. Jill Cloud, my pastors wife is the wisest woman I know. I really loved and appreciate this article. It blessed me and I gained wisdom from it. As a new mother in law I want wisdom!!! One of the wisest women i knew was Mary Kathryn Parrot. She once told me ” Whenever you are feelin low, go do something for someonelse.” It takes your eyes and mind off youeself, and God will use it to bless you both.. I love hanging with women who walk in wisdom. Two women come to mind when I think of wisdom. One, Jean Holtby, has been a Christian for many years. I can always count on sage advice from her. The other is a new Christian, Susan Brozina, whom I watch in pure joy as she humbly blesses others with the wisdom God has given her. Just think how much each of us would bless others if we all walked in our Giftings. Let’s do it! After walking through a pastor search with Ann Clark, I realize the wisdom and reverence for the Lord that she has. To me one of the most wonderful wise woman who ministers to my heart and has such great clarity and is most loving and kind to me, is a lady named Melody Daze. One of my Pastors wife. examples of being a “virtuous woman”. They are not sisters by birth. at all times. How to live and thirst for it all, in the kingdom of God. Name. Thank you “sister” for clear instruction. God Bless YOU. Sue Houpt is the wisest woman I know…so blessed to have her in my life! Him for both of them, and for your teaching today. I needed to be reminded. My mother. She took us to church and bible study every week and had us help with different activities through the church. I remember at Halloween we would meet at the church and trick or treat for UNICEF and then we would work on Bean Suppers to raise money for different things. We will always be grateful to God for giving us a wonderful example to follow in our service to the Lord. Thank you for all you do to serve God too. I so look forward to reading Girlfriends in God every morning after reading the bible. It helps me to really grow in my faith. Darlene Shook, she has been a wonderful Christian mentor to me in my walk of Faith. My grandmother, Gertrude Atkinson. She taught me everything I know about being kind. My dear friend Linda Woerman, is a woman of God, that is older and wiser than me. She always has a word of biblical wisdom when I need advice. She doesn’t judge, she only loves. I’ve been going through years of difficulty. I’ve had 4 back surgeries in 4 years with being rear-ended after the first. The last surgery was 12 hours to fuse my spine. My daughter became a heroin addict (yes, stole my medication) and lost custody of her precious 7 year old son. The father (who never took time for his son the first 4 years. I heard him call his son at age 3 “A f**king little brat”, my husband was so anger when I told him, he called dad and asked if he said that about his precious son. He replied, no. He asked him again into the conversation and he said yes, admitted it. He now has custody and moved in with a married woman with 3 children/2 father’s. They have been keeping him from visiting us. Even my father, great grandpa at 83 years old asked to see his oldest great grandson. He was told no, grandparents have no visitation rights. The last time I saw him, he said, I want to live with my mommy even if she is sick because I love her the most. Then I love you, grandma and my dad last. If my mind doesn’t to off to thinking all different things! I’m not getting strong after my surgery. I’m getting anxiety where I have a hard time leaving home. I can’t concentrate to get things done. Linda sends texts to let me know she is praying every day. Gods got this! My Mom, Nancy Kimbrel. I didn’t get to know her until I was married….just circumstances that separated us when I was a toddler. She is a mighty woman of God with an amazing weapon of prayer. She has pastored, took care of a jail ministry for 24 years and is still involved in nursing home ministry. I’m amazed at the women who come up to us when we are out who say, “Sis. Nancy, I wouldn’t have found my way without you leading me to Christ” or “Thank you for your wisdom, love and support, I wouldn’t have made it through.” She has touched so many people with her boldness for Christ. She is my hero! Corlyn, my Mom was the wisest woman I ever knew!! Miss her alot!!! Linda, my sister. She is an inspiration and example to me. I’d have to say right now it’s my mother-in-law; recently my brother and own mom have called me evil because I didn’t take my mom with me to Florida for the passing of my uncle on my dads side of the family. They didn’t really want her to come and we’re glad she didn’t come because of her drama but I received all kinds of name calling and hatred; of course they’re still not talking to me. My mother-in-law has reminded me that the way my mom treats me is not how a mother is supposed to treat her daughter. finances. He is faithful. Keep praying he will answer you. Joy Doubleday is the most wonderful friend I have ever had. She has taught me so much, and shown such love and concern for others and I truly respect her for all her knowledge of the Bible and her application of the lessons learned from it. Linda Fryer is one of the wisest women I know, I’d go for advice from her anytime!! My mother, Emma. She loves the Lord and serves Him. She is the best. Shirley S. She is a wise Christian lady. 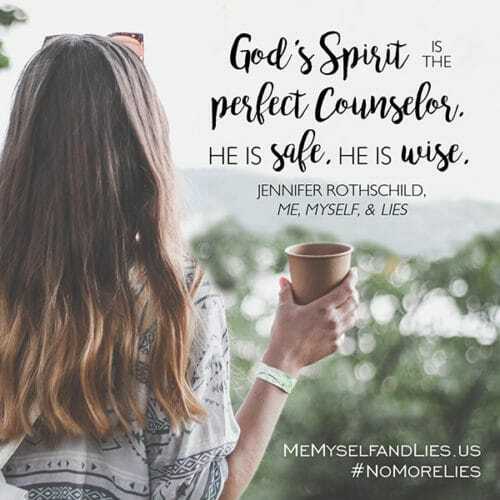 My good friend Darlene is my spiritual mentor and helps me make sense of situations, feelings and guided me along my journey to be closer to Jesus . My sister is the wisest person I know. She led me to the Lord when I was 8 yeras old. She has her flaws and we are both busy and don’t tlak much but I still love her. Ethline Virgina Johnson McIntosh-Edwards, my Mother-in-law, is the wisest Christian woman I’ve ever known. Ms. Madge Becton a precious lady at our church who is like a mother to me and a grand mother to our son. She gives biblical advice and is a true proverbs woman! Karen is my wisest earthly friend. She’s just older enough to truly understand, and she never lets me fall to self – pity. She listens, prays with me, prays for me, and if she doesn’t have solid godly advice, she takes the time to help me find it. She has talked me off from the ledge of stupidity and ungodly reactions more times than I can count, and I am blessed to have her counsel and support in my life. And she’s fun! Connie and Bette! They are always actively pointing to God in our lives, always!!!! Her name is Joan….such a sweet inspiration and spirit. I am blessed to know her. Bukky is a friend who seem to be wise in my environ. The wisest woman I know is myself. I am constantly trusting and believing God and walking by faith in every encounter I face. One of the wisest women I know is my dear friend, Gini! My mother was the wisest woman I knew. She passed away but still remember many of the things she told us girls..